Special thanks to Chiquita for sponsoring today’s post and to the Mom It Forward Blogger Network for providing information included in today’s post. I’m a banana fanatic. 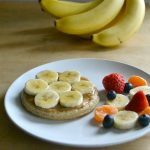 You might have noticed that I incorporate them into a LOT of my recipes because not only are they good for you, but kids usually love them too. They’re my favorite way to thicken up a smoothie and whenever I add banana slices to a PB & J sandwich, my kids act like I’ve just presented them with the world’s greatest culinary materpiece. 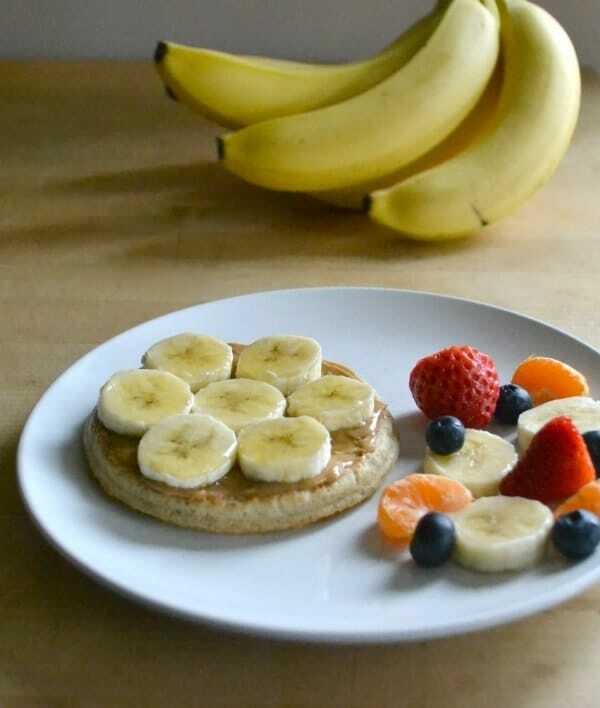 Bananas are also a healthy alternative to butter in baked goods. Today I’m sharing a recipe that combines this family favorite ingredient with another favorite food – pizza. Whaaaat? That’s right! 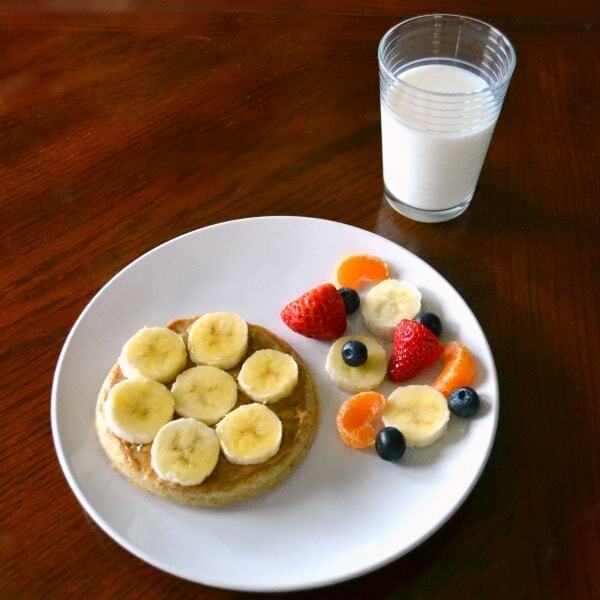 I’m going to show you how to make a Banana Breakfast Pizza. Not only will the kids love it, but it’s also super easy to make. I guess I could have just strewn a few banana slices on top of the waffle, but I really wanted to sell the “pizza” image (plus, I wanted to sneak in some protein and prevent them from dousing the entire thing in syrup) so I used natural peanut butter as the sauce and added honey as another topping. Also, in an effort to keep this dish as healthy (but also easy) as possible, I used frozen whole-wheat waffles. There are several brands to choose from, just remember to read the ingredients list since some “whole wheat” waffles can be made of mostly enriched flour with a side of whole wheat flour. 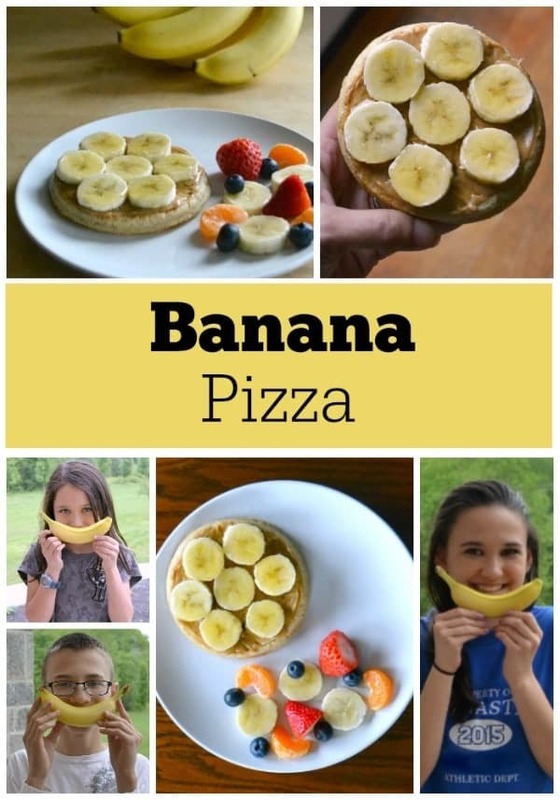 Banana pizza is equally good as a snack. It’s full of ingredients that fuel you AND stave off hunger for hours. I love the combination of sweet and salty. Yum – this recipe looks so great! I am excited to make it for my kiddos this weekend. My daughter has been wanting to go to Disney World forever – we are planning a trip soon!